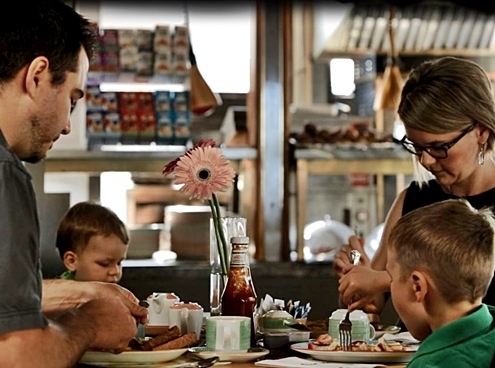 Coco’s is a very popular restaurant destination for tourists and locals alike. 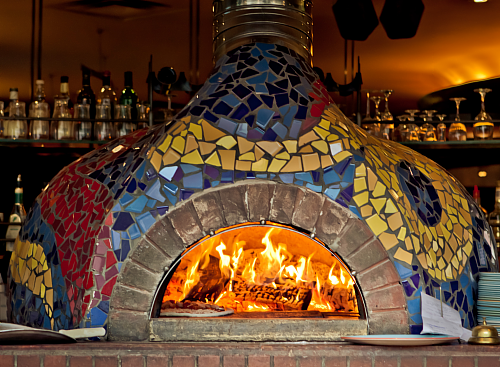 Guests rave about our famous wood-fired steaks and gourmet pizzas. Enjoy the awesome ambiance under the starlit Niagara skies as we offer nightly entertainment on the Terrace from 7:00pm onwards (in season only). Best of all, we offer ample free parking for all our guests! So visit Coco’s next time you’re in Niagara Falls and enjoy good times and great food that only Coco’s can deliver. 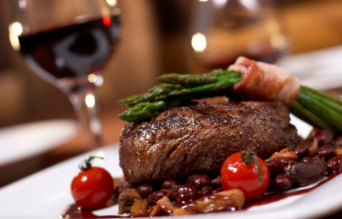 We have a full fledged list of food items on our menus to accommodate every meal of the day, including our popular steaks, chops and burgers cooked over a flaming open-hearth grill. Our wood-fired pizza oven makes great gourmet pizzas that are delicious, filling and simply irresistible. 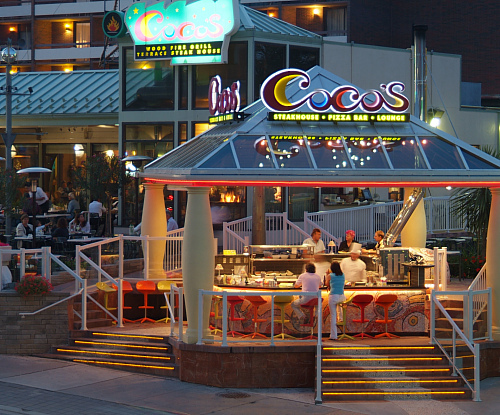 Come experience what Coco’s is famous for in the Niagara Falls area. 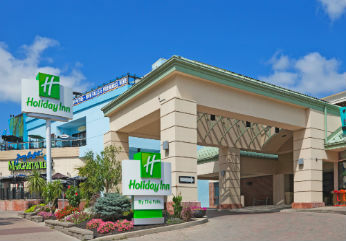 Coco’s is located inside Holiday Inn By The Falls. 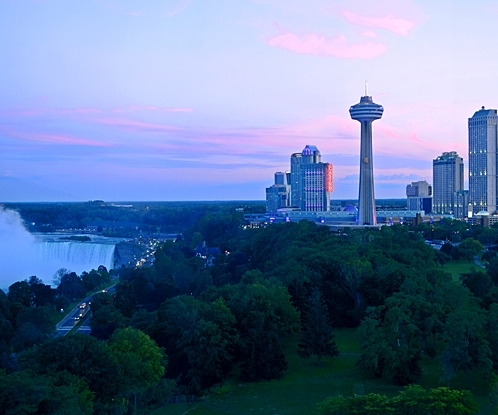 The hotel is located just steps from the mighty Falls in the heart of the Fallsview hotel, dining and entertainment district.